Hello, everyone. Thank you for your time and reading this. 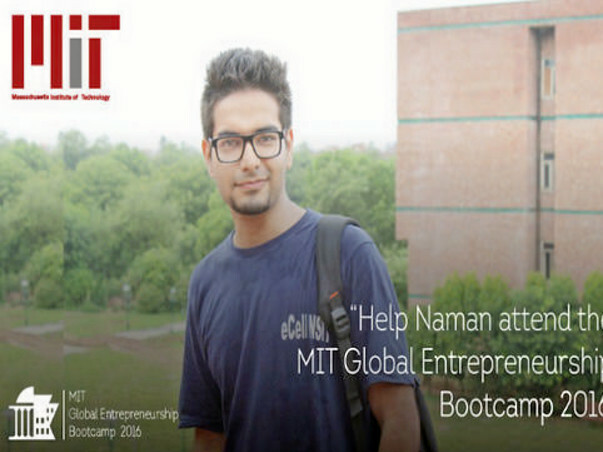 My name is Naman Malhotra, and I am one of the 50 privileged entrepreneurs, who have been selected for the MIT Global Entrepreneurship Bootcamp. I hail from India, the land of diversity. But, there is a financial barrier of 9500 USD that is trying to stop me from fulfilling this dream. Before I go about telling more about what the Bootcamp is all about. Let me tell you something about myself. I am a second year engineering undergraduate at Netaji Subhash Institute of Technology, University of Delhi, India. 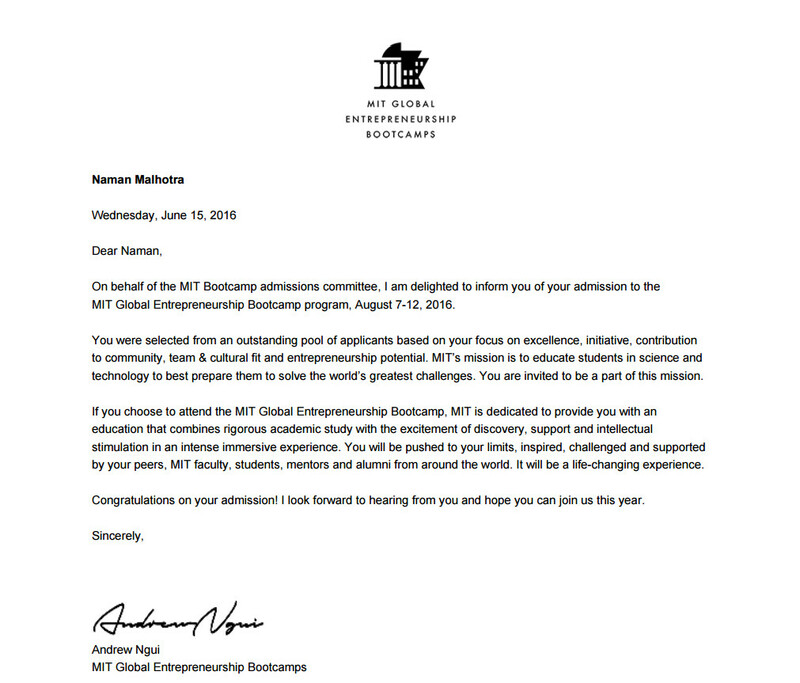 I have been selected for MIT Global Entrepreneurship Bootcamp which starts with a one-week training at MIT Campus, Cambridge, MA and culminates with a reunion at MIT after 3 months of mentorship. I will be working with mentors from Massachusetts Institute of Technology (MIT) and with other budding entrepreneurs on a project that will be meaningful for the society and hopefully, it shall change the world. Attending MIT Bootcamp will be a phenomenal chance for me to apply the skills I have acquired until now into a product which adds meaning to the lives of the less blessed individuals. It is indeed a once-in-a-lifetime opportunity for me. Every single day, I use my knack for learning to develop meaningful stuff for the society and thus, it becomes really important for me to attend this Bootcamp so that my skills and work until now can be consolidated into something truly transformational. A journey of 1000 miles must start with a small step. That's why I have applied for the MIT Bootcamp 2016 this August, where I will get the chance to interact and create something meaningful with 49 other brilliant minds all around the world. I am humbled by the opportunity to be selected for this 7-day intensive bootcamp, which is being conducted by MIT at their campus (Cambridge, MA) and is being guided by the renowned entrepreneurship mentor, Bill Aulet. The bootcamp is a 3-month mentorship program that begins with a one-week, intensive, in-person training and culminates with a reunion at MIT. This is a highly selective program for highly motivated students. I am happy to share a copy of my acceptance letter. 1. 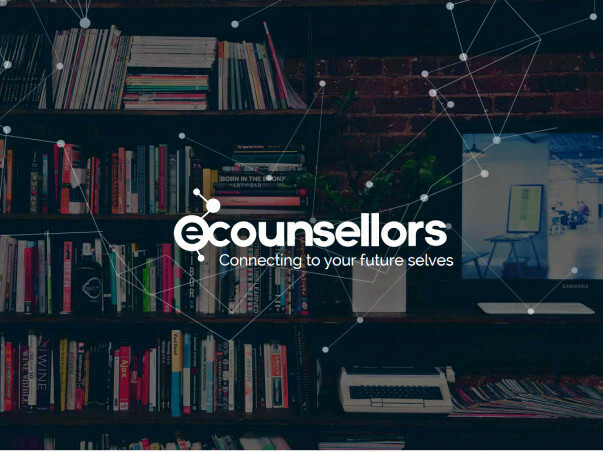 Change in Indian education system through my startup which provides real-time mentorship - ecounsellors. I'll apply my learnings from MIT to my startup so that this recently launched rocket touches the sky. 3. Learn what more I need to do in my business model and product to convert it into a viable business, and most importantly to raise my credibility as an entrepreneur which will have a positive impact on our users. 4. Coming from a humble background, getting the right network can be quite difficult. MIT Global Entrepreneurship Bootcamp is the perfect platform for me to connect and network with the world's brilliant mentors, VC, and entrepreneurs. 5. I among those, who are leading entrepreneurship cell at my college, At MIT we'll be taught how to create a company from scratch and maintain it. I wish to share my learning with my fellow batch mates, juniors, and others by conducting free workshops. We engineers know how to play with technology but curating business is crucial for a startup. Despite the chance given, I am having problems raising funds. 6000 USD translates to 400,000 INR approx. Then there are the flight tickets which cost 1500 USD + visa (the cheapest), the lodging will cost me another 2000 (for 7 days and six nights), local commute, etc. will be costing 9500 USD approx. I have gone to banks for the loan, but they too have refused to process my application, as it not a degree program. Nevertheless, MIT has generously granted me an extension in time to confirm my participation in the same along with the course fees by the end of June. I cannot confirm without ensuring that I can raise the entire amount. I realize that in such a short period of time, it is very difficult to raise that kind of money, but I won't give up easily. Help me take this first step towards my journey! I am turning to you, for your support in any amount. Even if each view ends up with a contribution of $10, I can still raise the entire amount and get to participate in this bootcamp. Even the tiniest amount has my gratitude! 1. Please share my campaign extensively. 2. Even the tiniest amount has my gratitude! 3. Please connect me to various organizations/NGOs/individuals, who can sponsor my trip. Once the campaign ends, the money shall go towards tuition fees payable to MIT Bootcamp, my travel, and housing for the 7 days in Cambridge, MA. If I exceed my funding target, I will use it as a seed capital for my startup --- ecounsellors. 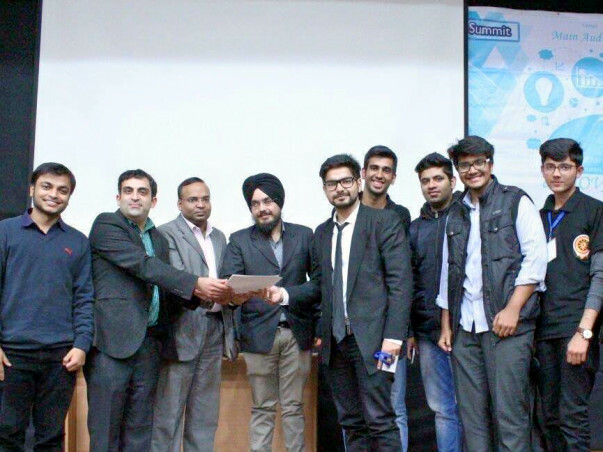 My startup aims at providing real-time mentorship to students through cutting edge technologies, free of cost. I am a believer in the mission to empower those who have the will to do something extraordinary in their lives. Someday in the next 7 years, I would like myself to be at a place where I could nurture a lot of such fellow beings. I am a person who believes that my juniors need to learn as much as they can so that they are in turn able to guide their juniors towards success. It is this domino effect that works in life. I know the value of good mentorship in life as it can save a hard working person from drowning into a sea of despair. Out of my sheer passion for mentorship, I conceptualized my start-up www.ecounsellors.in along with two fellow mates of college in 2015 and worked on the technical part all by myself for 11 months and later recruited interns to have more ideas for the setup. I have grown tremendously as a person with the growth of my venture and I truly believe that a good team can have a torrential impact on the growth of any individual remotely attached to it. This realization has nurtured my dream to be a part of the team of 49 other exceptional brains at the Bootcamp at MIT so that I can truly deliver my share of service to this evolving society of ours and make it count. My Entrepreneurship journey started when I was 15, we build a hybrid bicycle that charges all your mobile devices and iPods, and also stores surplus energy into the battery. At 17, with my friend I setup his family business of handicraft at the website and eBay and generated revenue. Currently, I am leading my team at www.ecounsellors.in, which is a service provider dedicated to help people in making smart career choices. It bridges the gap between a Mentor and a Mentee with an appointment booking system through real time communication via self-implemented audio, video and chat modes and it is free of cost. I developed the beta version of this product single-handedly. Audio, video, and chat software are developed self-developed and are embedded on the website itself. I also help in making company's growth and business strategies. 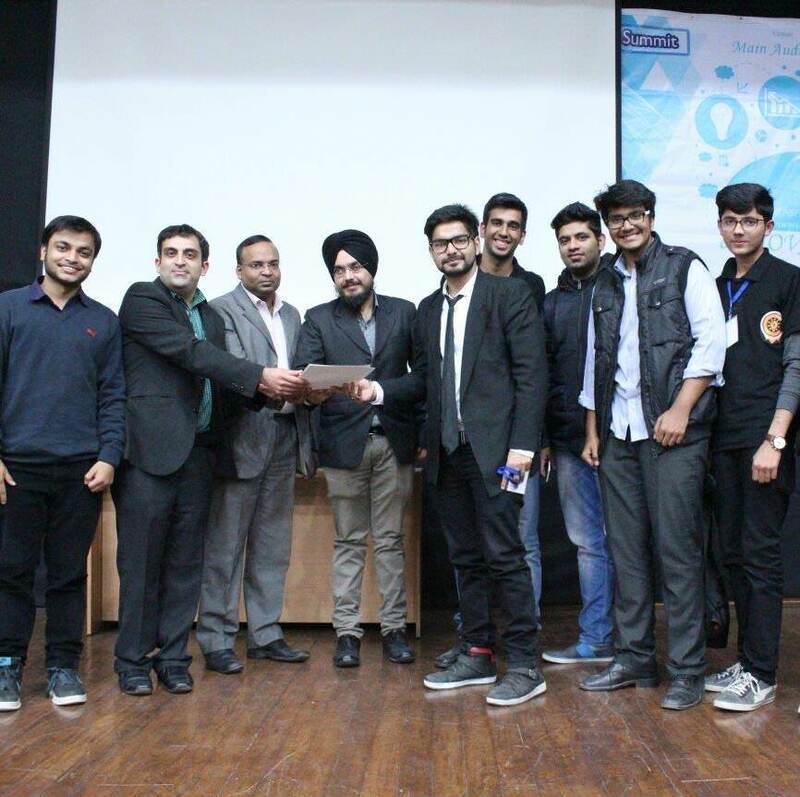 I am also leading the entrepreneurship cell of my college with a bunch of fellows of my year. Our sole aim is to have budding entrepreneurs coming through the ranks after taking on the challenges in this cut-throat competitive world. 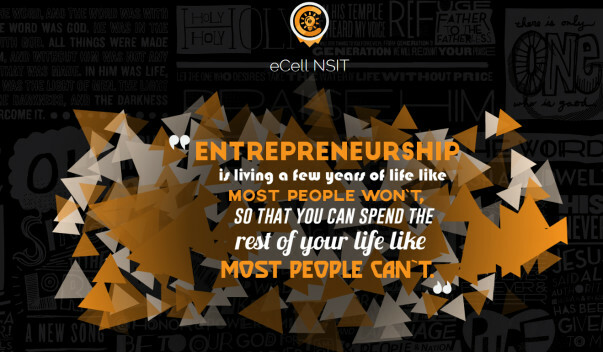 I created the website (www.ecellnsit.com) and tried to make it as interactive as possible. It is loaded with features like team building, management etc. 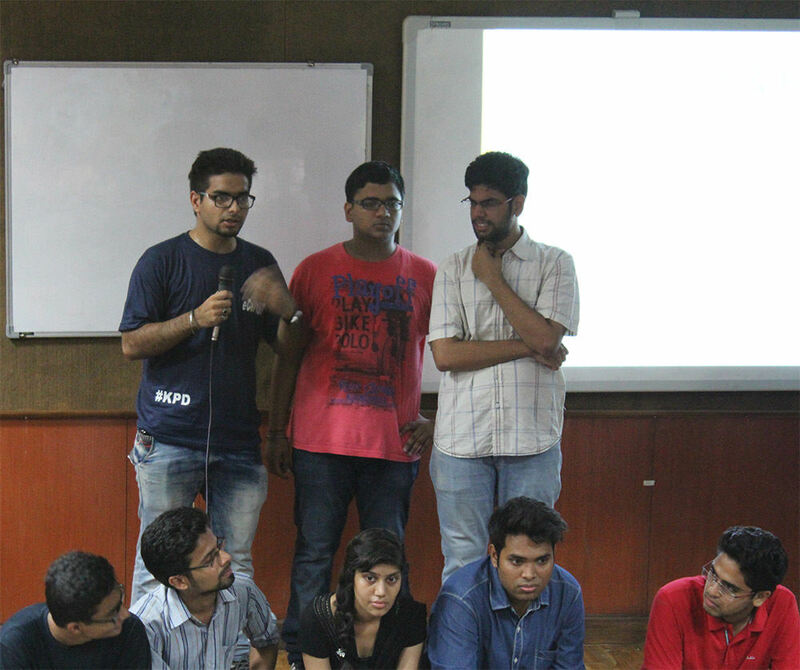 and from here a participant can register and manage his events and team when a competition is launched by the society, Ecell. 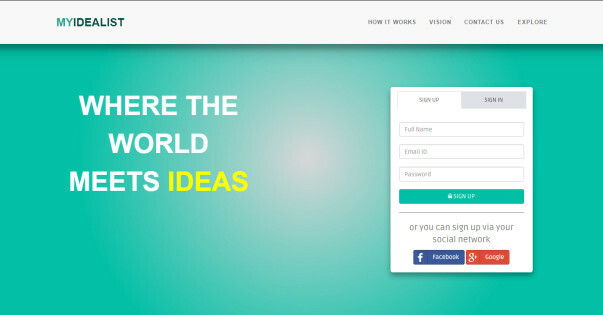 Earlier, I was the project coordinator at (https://myidealist.co/) which aims to provide ideators, problem solvers & solution seekers a platform to collaborate, engage & evaluate their ideas. We had to build things from the scratch; finishing the project before the deadline was a must. Further, we made strategies for its alpha version and documenting ramblings for future ideas. 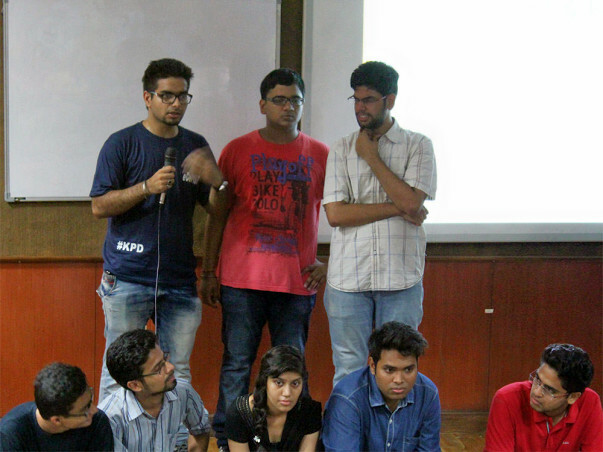 Setting up coordination between tech and the non-tech team was a challenging task in itself. I learned a lot of stuff there, which helped me to reach my current position. I learned, how to work as a remote team, how to meet the deadlines and how to work under someone and that too, under pressure. How to get the $#!^ done is the most important thing I learned here. 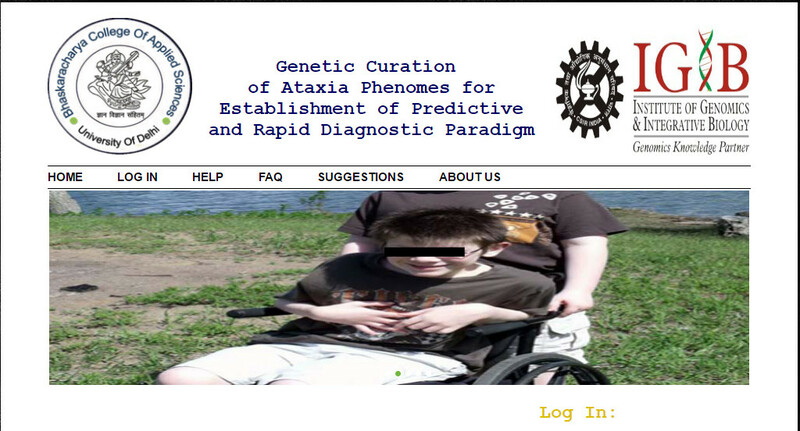 Currently, I am developing a bioinformatics Genomic analyzer tool under my professor, Dr. Rajeev Kumar. we named it Genomify. It will enable a researcher to identify unique signature called REPEATS in DNA which indeed will help in identifying the root cause of the disease at a molecular level. There will be several other options in the tool, such as inserting and managing custom database obtained at University Lab and NCBI data retrieved via API. Features such as SNPs identification and BLAST analysis with efficient algorithms will be added in future. The project will be open sourced and will be uploaded on Github soon. New Delhi, the capital is one of the most polluted cities in the world. To curb the increasing pollution, the Govt. has launched the odd-even rule. Odd numbered cars on odd days and vice-versa. E-rickshaw is gaining popularity as a basal mode of transport. 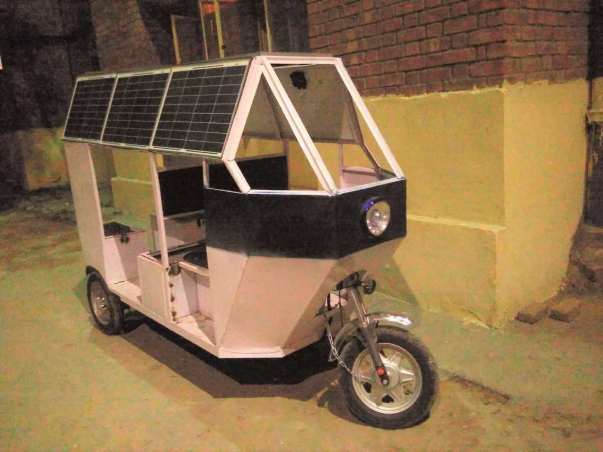 So one on my friends has built a hybrid e-rickshaw which runs both on solar and battery and it can be charged by plugging in. I am helping him to make this vehicle smarter by using machine learning algorithms so that vehicle can self-optimize according to the conditions. Also, this data will be uploaded live on the server where we can track and monitor its efficiency when it is on the move. The vehicle is in beta phase and currently generating revenue. To know more about me please visit, my LinkedIn profile. There is a kid name Arun who lives near my home. His father Nelu runs a laundry business under a tree. This kid is great with logics so I decided to teach him programming skills. I am currently teaching him C++ and web development. On my advice, his father even bought him an old laptop. He'll do great in the future and someday will create an amazing product. I am a part of another college society called Neighborhood. Mainly, we hold workshops for slum children, organize collection drives and spread awareness about the problems of the society. We interact with the poor and try to provide technical solutions to them. I teach programming (C++, HTML, CSS, PHP) to enthusiastic kids so that they can start early and can achieve a head start in their lives. If you are unable to help me financially, no worries, first let me thank you for reading through my campaign. Second, you could always spread the word about my campaign. You can find out more about me in my LinkedIn profile. You can find more about my startup through Facebook page, LinkedIn page. India faces a critical problem of millions of educated youngsters who are deemed unfit for employment. India produces over 1 million engineers and management graduates every year, but not even a third of them find meaningful employment because of lack of motivation, guidance, poor facilities which ultimately results in unemployment due to lack of skills. India is a young nation with a population of more than 1.2 billion and increasing, and over half of this population is under the age of 25. Our ex-President and India’s great scientist, late Dr. APJ Abdul Kalam strongly believed that the Youth of a nation can only set its bright future. Unfortunately, if the majority of the youth is itself living in a dilemma with underdeveloped skills; then you can imagine the state of that country in the near future. This might be a problem in other developing nations as well. The majority of people are clueless from a very early stage of life; student of a 10th standard is confused whether he should go for science, commerce or humanities. A High school student is confused about choosing the best college that suits him, the field of study he wants to pursue. A 3rd-year college student is confused about which company is best for him to work for, how to prepare for job interviews etc. and there are many such examples.The general trend in India is that after you get into a college, then you finally decide what you want to do in life. This is a very contradictory and sad thing for our nation. I myself have faced such similar problems umpteen times. While joining college, I couldn’t decide which field of study is best for me, and its demand in the industry, pay scale etc. There are few choices in your life that you only get to make once and you really need to make the most of them. As it is either very difficult or impossible to come back from a road your have chosen to travel on. Nevertheless, everyone needs a mentor in their lives to guide them during difficult situations. My first start-up failed due to the lack of mentorship and guidance I had needed to run it. We were hustling hard but with no plans, framework or guidance. We had no clue what we were doing, all we were doing was random and scattered work which was bound to fail sooner or later. It was my first year of college and I was full of enthusiasm. I actually had this burning fire inside me to do something productive. We (with a final year guy) founded a cashback start-up called cashwaapas.com that was aimed at providing cashback for each item you purchase on an e-commerce website, but we eventually had to shut it down within 6 months. That was a huge setback for me, an eye-opener in fact. But things were about to change…..
Then in summers of 2015 during the start of my sophomore year. I met two guys from my year who shared the similar vision, as they too had suffered setbacks and lived with doubts and dilemmas in the past. We felt that there is a huge potential in this area of guidance and mentorship. We came up with the disruptive idea of Ecounsellors and planned exhaustively, first the layout and then the solid details of marketing, customer service etc. 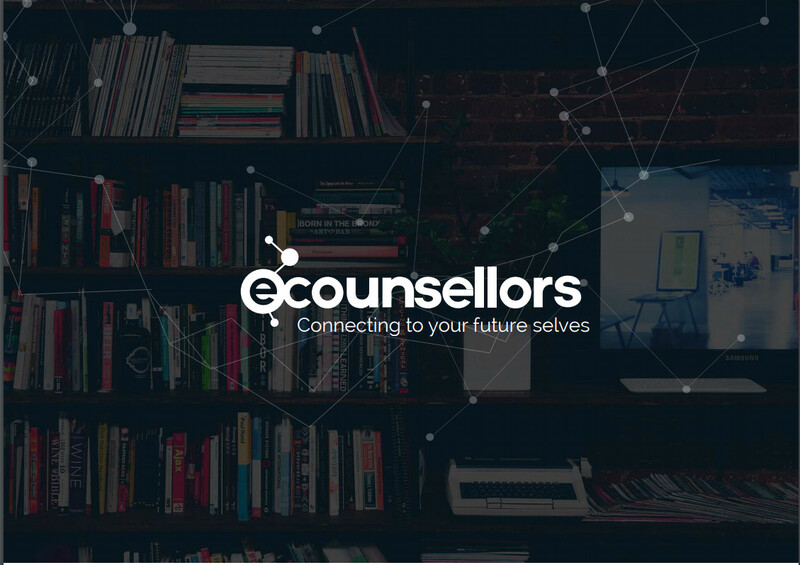 Our portal, www.ecounsellors.in, is a service provider dedicated to helping people to make smart career choices by bridging the gap between a Mentor and a Mentee with an appointment booking system through real time communication via self-implemented audio, video and chat modes. We are a team of enthusiastic and passionate fellows with a vision to build something global. We are working hard to take it to that level where it has the potential to disrupt the Edtech industry. We connect people from different domains such as Entrepreneurship, Placements and Internships, MBA, Development / Coding and Engineering to students and professionals. Since the launch of our portal(26th Jan 2016), we have touched the lives of 500+ students and professionals. We currently have 2000+ community of users and 250+ expert mentors. Or drop an email at naman03malhotra@gmail.com if you have questions or just want to say "hello".